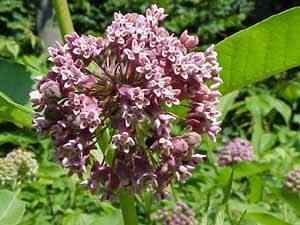 Description: From 2 to 4 feet tall usually branched, with numerous gradually tapering leaves widest near the base pointed on the ends and in pairs. 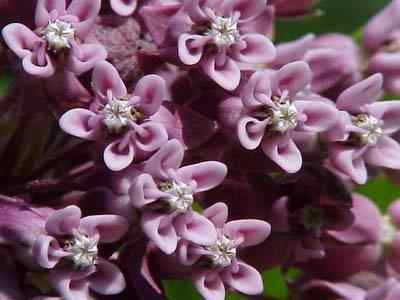 Flowers are in clusters that droop similar to the common milkweed except the flowers color is a deep magenta red. 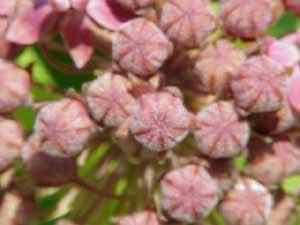 Pods downy, but not warty.